The journey toward racial unity is not an easy process. Many of us look around and see racial divides. Things feel stuck, and we want to do something. We have read the Scriptures and prayed for unity. But how do we, the body of Christ, actually become one? How do we become light in a dark world full of racial division? How do we become a witness and a voice for racial unity? 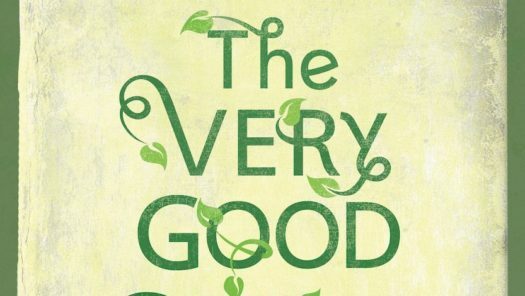 As part of our ongoing Be The Bridge discussions, we are doing a book study this spring on the book The Very Good Gospel, by Lisa Sharon Harper. We will meet in May to discuss what we’ve read and how it applies to us as believers – as brothers and sisters in Christ. If you’d like to join us, please purchase the book by April 10 so you’ll have time to read before we meet! Books are available at Christianbook.com as well as Amazon.com. Both men and women are welcome. Invite your friends and sign up here! Through careful exploration of the biblical text, particularly the first three chapters of Genesis, Lisa Sharon Harper shows us what “very good” can look like today—in real time. Shalom is what God declared. Shalom is what the Kingdom of God looks like. Shalom is when all people are treated equitably and have enough. It’s when families are healed. It’s when churches, schools, and public policies protect human dignity. Shalom is when the image of God is recognized, protected, and cultivated in every single human. It is the vision God set forth in the Garden and the restoration God desires for every broken relationship. Shalom is the “very good” in the gospel. Because despite our anxious minds, despite divisions, and despite threats of violence, God’s vision remains: wholeness for a fragmented world. Peace for a hurting soul. Shalom.